"Instagram connects people in a personal and authentic way"
Sometimes moving to a new house leads to unexpected opportunities. In the case of Erin Benzakein, founder of Floret Flowers, it led to starting a business growing flowers. She and her husband, Chris, wanted to be able to raise their family surrounded by nature, so they moved from Seattle to the Skagit Valley where they tilled up part of the backyard to create a huge vegetable garden. "Tucked in with all the vegetables was a double row of flowering sweet peas planted in memory of my great grandmother", Erin remembers. "Grammy had introduced me to gardening and flowers at a very young age. So, when the first flush of sweet peas bloomed in our new garden, it felt as if she were there with me. I shared much of the garden’s bounty with friends, family and anyone who crossed my path. Soon word got around and someone ordered some flowers for a friend. When I delivered that first bouquet, the recipient teared up as she buried her face in the flowers. Witnessing the impact those sweet peas had on her and so many others who received our flowers was tremendous. After seeing the all the tears, smiles, joy and memories evoked by my flowers, I knew I had found my calling. I’ve been growing flowers ever since." Erin may not have a big farm, but she and her team do make the most of what they have. 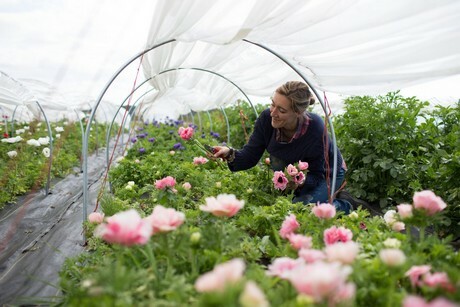 "We grow our flowers using small-scale, high intensity techniques that we have honed over the last ten years", Erin says. 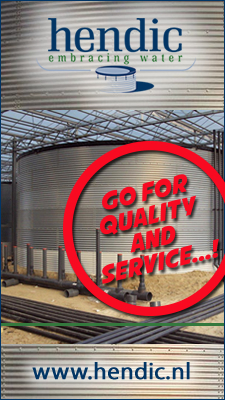 "Some of the methods we utilize include tight plant spacing, season extension structures like unheated greenhouses and low tunnels and precise succession planting." They also grow more than one crop per year in many beds. In other words, as soon as one variety is just about done blooming, they have another one ready to plant in its place, so they can maximize production. "With so much plant mass leaving our small plot, we also invest a lot of time and resources into building soil fertility each season. We plant our flowers using organic methods, so cover crops, compost, natural fertilizers, mulch and foliar treatments of compost tea are essential to producing large quantities of cut flowers on a small scale." At Floret, they grow many different varieties of flowers. The variety trials they have conducted on their farm for years has helped them find the very best blooms for cut flower production. "Through this process, we’ve been introduced to the best breeders and seed suppliers in the world and have built relationships with them to be able to source high quality seed for our own line of seeds", Erin says. "After several years of experimentation, we also have begun producing some seed on our own farm. We recently bought a farm next door to our original 2 acre plot so we’ll finally have more room to expand our seed production area." Floret may not be the biggest in terms of acreage, but the flower farm definitely packs a punch online. On Instagram, for instance, Floret has more than half a million followers. According to Erin, social media, Instagram in particular, connects people in a much more direct, inexpensive, personal and authentic way than the traditional forms of marketing or advertising. 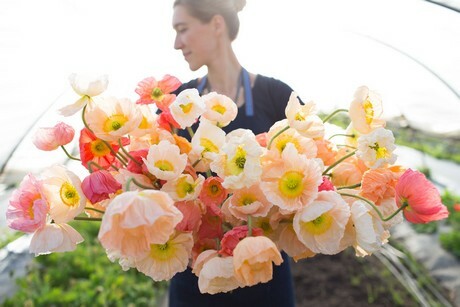 "I’ve seen a lot of flower farmers use this strategically to connect with florists, brides and farm market customers to tell their story, share behind the scenes photos of all the love and effort they invest into growing beautiful flowers. The platforms have helped to expand their reach, build excitement and demand for new flower crops, cement customer loyalty and grow their overall business." 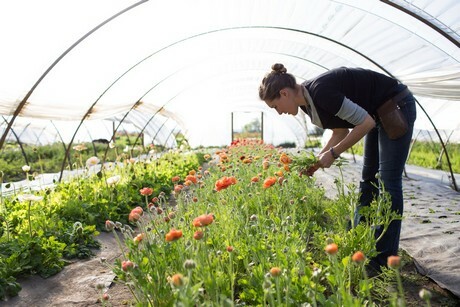 As for the future of the flower industry in the US, Erin sees flowers continuing to follow a similar growth trend as local foods and the craft beer movement. "Restaurant chefs and bartenders routinely seek out the freshest seasonal ingredients for their menus and see value in offering locally-sourced menu options to their customers. I see florists, event designers and even groceries doing this, too, on a much wider scale than today." On a local level, she predicts there will be more regional collaboration among growers and continued growth and diversification of sales via partnerships with other local businesses seeking locally-grown products. As for the coming year, Erin has a very simple wish for 2019: "At a time when it is easy to be overwhelmed with all of the negative news of the day, my simple wish would be for more people to discover the satisfaction of growing your own flowers and experience the joy of sharing flowers with others."